President of the Russian Federation Vladimir Putin congratulated the management and staff of the Roscongress Foundation in an address to mark the organizations tenth anniversary. «In recent years, the Foundation has grown into a major, high-profile organization, gaining recognition as an effective organizer of some of the most important conventions and exhibitions, both in Russia and beyond. Some of the leading business events taking place under the auspices of the Foundation today include the St. Petersburg International Economic Forum, the Eastern Economic Forum, the International Financial Congress, the Russian Investment Forum, the International Arctic Forum, and Russian Energy Week. They all aim to help realize the economic potential of Russia and its regions, to attract investment and technology, to develop multilateral cooperative ties with foreign partners, and to create a dialogue about a range of issues on the global agenda. Roscongress Foundation events invariably meet the highest standards with respect to organization and content, which is clearly attested by the increasing numbers of heads of state and government who attend them each year, together with directors from globally renowned companies and prominent representatives from the scientific and expert communities. I would like to note that this level of success on the part of the Foundation is largely thanks to the team behind it, a group of true professionals who know their stuff and love their work. It is a reflection of their collaborative approach to solving the challenges they face. I wish the Foundation continued success in developing and implementing new and promising projects in the future», the Russian President said in his address. The Russian Public Relations Association (RASO) has announced the recipients of its annual PR awards, and the Roscongress Foundation has won the Investment growth in Russia category for its series of SPIEF 2016 sessions, Russias regions: new areas of growth. Between December 2015 and May 2016, events were held in cities across Russia (Moscow, Nizhny Novgorod, Yekaterinburg, Krasnodar, and Tula) as part of the run-up to the St. Petersburg International Economic Forum. «The Russias regions: new areas of growth series took the form of a kind of roadshow  a presentation of the St. Petersburg International Economic Forum in our countrys most high-profile regions. This recognition confirms the importance of holding business events highlighting the investment appeal of Russias regions. In the coming business season, we plan to expand the geographical coverage of the new areas of growth series», said CEO of the Roscongress Foundation Alexander Stuglev. Russias regions: new areas of growth brought together leading business and public figures and representatives of the political community in the relevant regions at industry events. As is customary, the focus at these meetings was on investment projects and successful business projects in Russias regions. Participants had the opportunity not only to hear expert opinions on the regional projects, but also to demonstrate their investment appeal to international specialists. More than 1,200 people attended events in the Russias regions: new areas of growth series between December 2015 and May 2016. Regional sessions in the series have already taken place in the Volga, Ural, Southern, and Central federal districts. In 2016 and 2017, SPIEF events are set to expand their reach to other Russian regions. 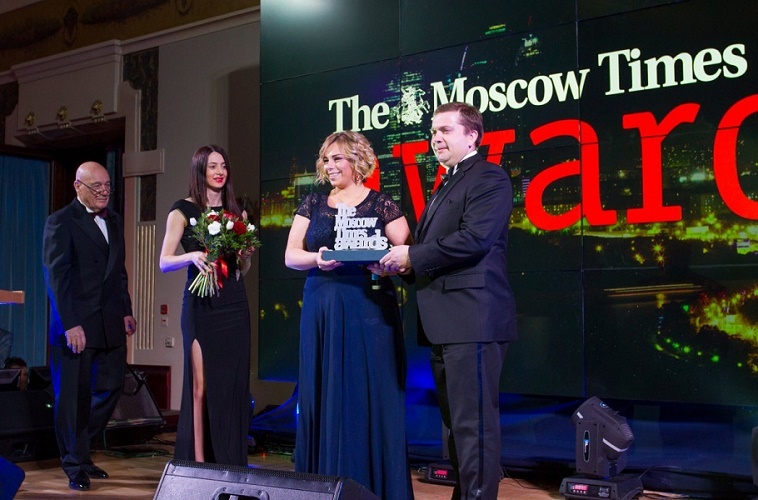 On December 2, 2015, the St. Petersburg International Economic Forum Foundation received a special award at The Moscow Times Awards for its contribution to promoting Russias image abroad. The expert board responsible for deciding the awards comprises heads of foreign chambers of commerce and industry (RBCC, CCFR, AmCham, and so on), ambassadors to Russia, leading foreign news and information bureau chiefs in Moscow, and respected journalists from the Financial Times, New York Times, DPA News Agency, Voice of America, Wall Street Journal, and La Tribune, among others.